Are you someone who likes to update their home by adding various new window treatments? Many people add options like window blinds, curtains or shades. If you are replacing window blinds with something that is new, then you may want to find ways to repurpose old blinds. 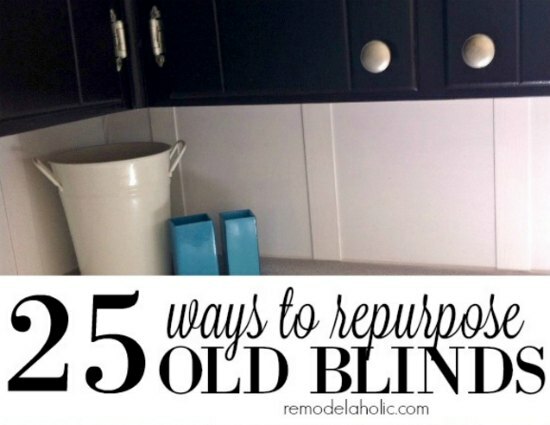 There are many ways to repurpose old blinds if you want to recycle or upcycle. This is a great option if you like to do different types of DIY projects. You may be surprised at what you can create by using an old set of window blinds. Projects include pieces or art to a custom picture frame. One thing to keep in mind when you want to repurpose old blinds is the material that is available. Most types of inexpensive window blinds are often made out of vinyl. Blinds can also be made from wood. This is important to know before you get started with a particular project.